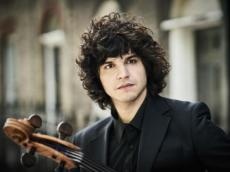 Azerbaijani cellist Jamal Aliyev will perform at the Presidential Concert Hall in Ankara on February 7-8. Jamal Aliyev will appear on the stage with the Presidential Symphony Orchestra, Azertag reported. The orchestra will be conducted by Thomas Carroll. The musician will perform D. Shostakovich's Cello Concerto.